For most of the people I know, nothing makes their heart skip a beat than a great pair of shoes. That includes most of my girl buddies, my boyfriend, my mom and even my brother. I don't get that at all. And I think that goes the same for them. Sometimes they don't understand my craziness over food, specifically desserts. I spent my Saturday sampling over desserts I've just discovered and been wanting to try for a long time. You say one can only eat so much sweets but I have to disagree. Seriously, who could ever resist that? Here's the story: After work (8:30 AM), we (Ian + I) went to Naci Comfort Food to have breakfast but surprise, surprise, it was still closed! So we went to GRAM's Diner instead. Dessert was a requirement for us so we ended up Google-ing restaurants in the area that have great desserts. The Cake Club kept on popping up on the results so after our breakfast, we WAITED for them to open by staying at Jamba Juice. I know, right? The great lengths we go to for great food. Praise the heavens, it's already 11:00 AM! So we went to The Cake Club with no other intentions in mind but to have dessert, so I was really glad to be greeted by glass displays of all kinds of gorgeous desserts and walls of Royce's products. No initial awkwardness of sitting there and ordering just the desserts. I was so excited! Hahaha. Why Vanessa? 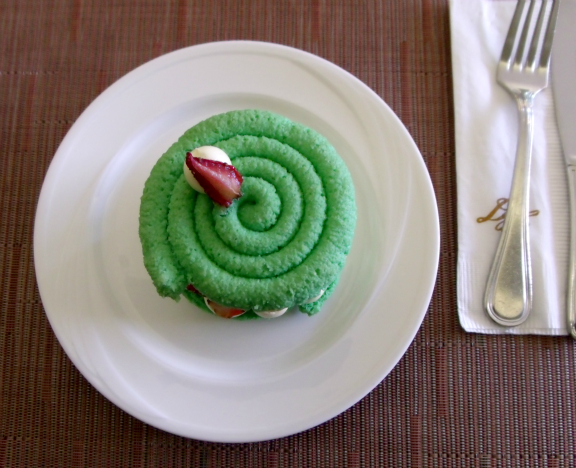 I read that this sweet treat was named after Diamond Hotel's general manager. This sophisticated beauty consists of layers of pistachio macaron, cream, glazed quartered strawberries, strawberry cream, and pistachio cream. The macarons have that crisp outer shell but you can feel the chewiness when you take a bite. 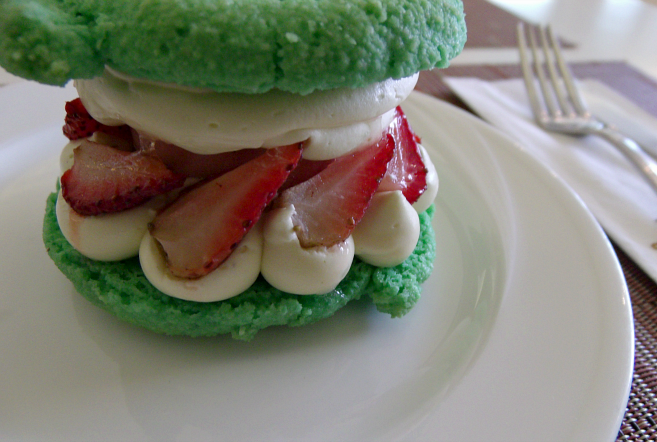 The sourness of the strawberries is balanced by the white cream filling. There were the crispy, chewy and smooth textures with every bite. It was nutty, generous, delicious, worth every penny and perfect. I loved every bit of it. I originally wanted to have breakfast in Naci because they have both breakfast meals and cupcakes. It's like hitting 2 birds with one stone. I saw in their website that they offer breakfast from 7:00 AM to 10:00 AM ((is the website not updated? Is this for when they were still in Greenhills?) and saw on other blogs that during weekends they open 9:00 AM, which is why I was surprised when we got there and they were still closed. Anyway, after having desserts at The Cake Club, I asked Ian if we could go back to Naci to have their cupcakes to go. I mean, I'm already there, might as well take advantage of the opportunity, right? I was again quite disappointed when we got there and there were only 2 flavors available and we were told that the next delivery of cupcakes might be in the afternoon. Oh well, I could certainly go back and try other flavors next time. But their cupcakes certainly didn't disappoint! The Black and White cupcake was sooooo good. 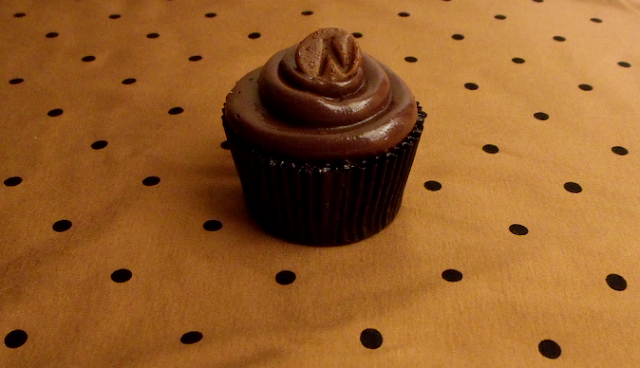 Rich, creamy and smooth chocolate ganache on top of a vanilla cupcake base. The amount of chocolate ganache was just right, not overpowering the vanilla flavor of the cake. 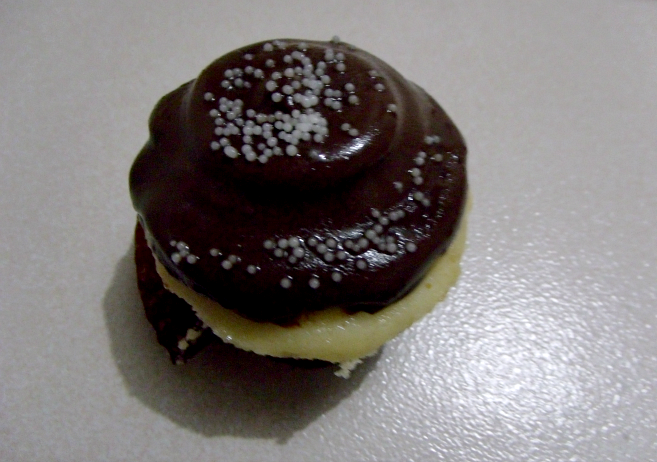 The ganache's sweetness also was just right, not too sweet with hints of the taste of dark chocolate. On the other hand, the Chocolate Ganache cupcake was a bit dry for me. Certainly not as moist at the Black and White cupcake. And maybe even though I love chocolates, I'm not much of a fan of chocolates on chocolates. It seems a bit too much for me. 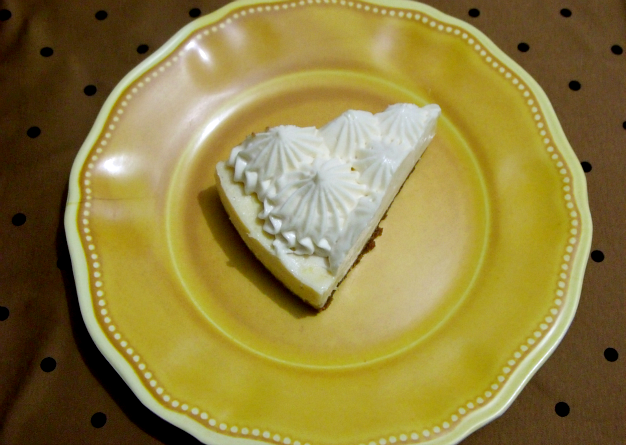 After a month of waiting, I finally bought a slice of Cafe Mary Grace's newest creation, Limone Santi, which was actually named after Ms. Mary Grace's first grandson! First saw it at Pepper.ph and I've been waiting for it since. Finally, something as great as key lime pie, even better! 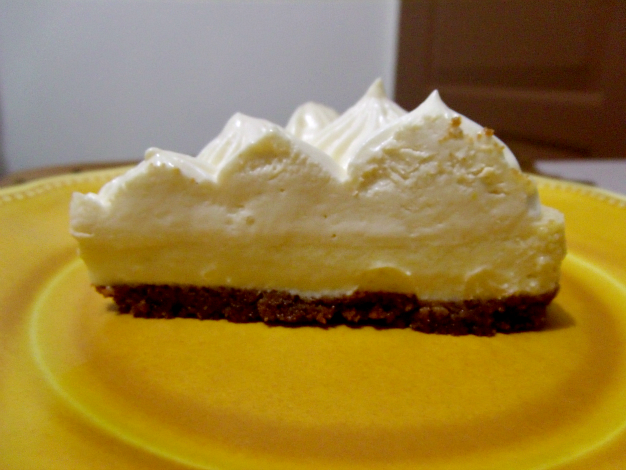 This cake has a graham cracker crust, lemon filling and topped with a smooth cream! Great for those people who like desserts but not of the too sweet kind. There's not a lot of restaurants that serve key lime pies or lemon pies so I was really glad they finally have this. Also, I just have to say that the Greenbelt branch of Cafe Mary Grace has one of the best interiors ever. Limone Santi is currently available at Cafe Mary Grace's Greenbelt, Serendra, TriNoma and Alabang Town Center branches only. How about you? 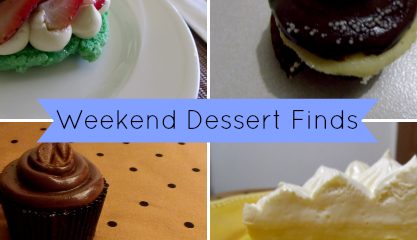 Do you have any dessert finds over the weekend?